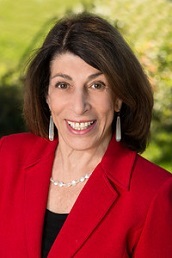 Professor Ariela Sofer is Associate Dean for Administration and Faculty Affairs of the Volgenau School of Engineering at George Mason University. Prior to that she served almost 16 years (Jan. 2002-August 2017) as Chair of the Systems Engineering and Operations Research (SEOR) Department at Mason. Dr. Sofer received the B.Sc. in mathematics, and the M.Sc. in operations research from the Technion in Israel. She received the D.Sc. degree in operations research from the George Washington University in 1984, and joined Mason upon graduation. Her major areas of interest are nonlinear programming, optimization in medical applications, and systems thinking. She has also been involved in various airport design problems. Dr. Sofer is currently a member of the Board of Directors of the International Council on Systems Engineering (INCOSE) as Director of Academic Matters. She has also served as Secretary of the Institute of Industrial and Systems Engineers (IISE) (2014-2017) and as Vice President for Sections and Societies of the Institute of Operations Research annd Management Science (INFORMS). She has also served as Chair of the Association of Chairs of Operations Research Departments (ACORD), as Chair of the INFORMS Computing Society and as Secretary/ Treasurer of the SIAM Special Interest Group on Optimization SIAG/OPT. She has served as Associate Editor of the Operations Research Journal, and for Management Science, and as a member of the editorial board of MOS-SIAM Book Series on Optimization. She is a member of the editorial board SEBoK Systems Engineering Body of Knowledge. She was co-chair of the SIAM Conference on Optimization held in 2002 in Toronto Canada, and co-chair of the 3rd International Conference on Model-Based Systems Engineering held in Fairfax, Virginia, 2010. She has been affiliated with the Simulation Group in the Department of Radiology, at Georgetown University Medical Center. Linear and Nonlinear Optimization, SIAM Books, 2008 (with Stephen G. Nash and Igor Griva). Linear and Nonlinear Programming, McGraw Hill, 1996 (with Stephen G. Nash). Compuatational Approaches to Medical and Life Sciences Applications Annals of Operations Research Volume 119 (with Eva Lee, eds. ), Kluwer Academic Publishers, March 2003. The Impact of Emerging Technologies on Computer Science and Operations Research (with Stephen G. Nash, eds. ), Kluwer Academic Publishers, 1995.